I do love a new perfume, but I find that if I have an entire bottle of it, my nose stops smelling it, so I love samples! 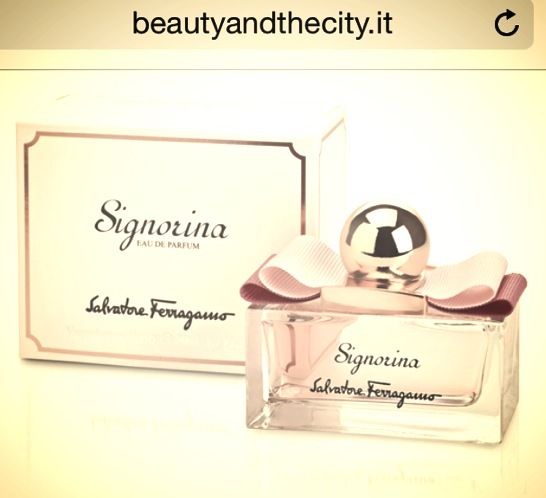 The latest one I’m Jonesing over is Signirina by Ferragamo. One of my favourite gifts from my sister a few years ago was a collection of about 20 little perfume sample vials. How about magazine paper samples? Hah! I found the recipe below, and don’t you know I’m going to try it. I’ll let you know how it turns out when the plastic spray bottles get here..